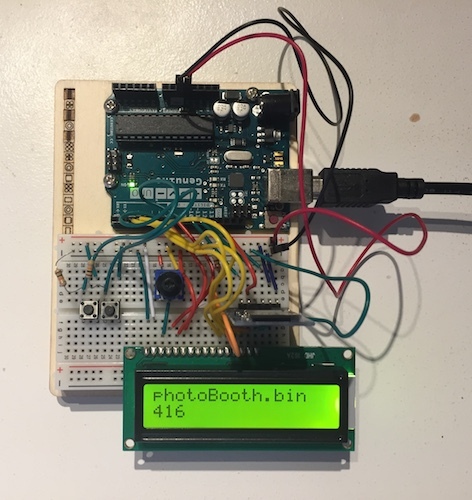 The aim of this project was to build a USB Rubber Ducky using an Arduino Uno and the components present in the “Arduino Starter Kit”. The ducky script encoder, written in Python. The resulting “device” works like this: you copy the encoded ducky scripts on a micro SD card that you insert in the reader. When the arduino is plugged in a computer, it will let you choose the script you want to run. Then, the arduino will behave like a Rubber Ducky (i.e. like an automatic keyboard). The LCD screen is used to show all the scripts found in the root of the SD card. The buttons allow to navigate through those files and select the script to run. All the used components are in the official Arduino Starter Kit except for the SD card reader which I bought on amazon. The software running on the arduino is pretty simple. It reads the files from the SD card and let the user to select an encoded ducky script to run it. 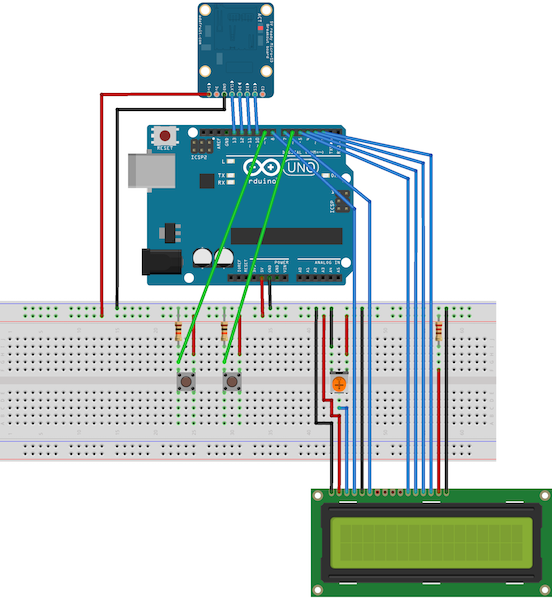 An encoded ducky script contains the keys the arduino has to send on the host computer.
} // TODO: what if there's no file? how to stop? * Copy 8 bytes from the current file to the specified buffer. * Returns the number of bytes successfully read. * file via the usb port. The encoder is a python script taking a ducky script as input and producing an encoded version of it. It also supports several keyboard layouts. # command. They take the eventual parameter as argument. modifier key (ALT, CTRL, ...) and another key. must be defined in lang.keys. A bitwise OR operation on the two parameters. # function that handles its translation to bytecode. Converts a character to the key combinaison that produces it, expressed in a height bytes long bytecode. A single character, well defined in lang.chars.
""" Returns the input_filename with a new extention """
The whole project (including source code, documentation and installation instructions) is on github. Note: The project was made for fun and doesn’t intend to replace a Rubber Ducky. It’s not really usable, just functional.